But with just 64 days until the presidential election, Wynn has gone radio silent and all but vanished from the political scene. Meanwhile, Adelson has emerged as the Republican Party’s largest campaign contributor. He has given more than $30 million this cycle to benefit GOP candidates, including $10 million to a super PAC supporting presidential nominee Mitt Romney. Republican candidates flock to The Venetian to receive Adelson’s blessing. On Aug. 14, Adelson hosted a “briefing” at the hotel for Romney donors to meet vice presidential nominee Paul Ryan, three days after he was named to the ticket. Romney also visited Adelson at The Venetian during a campaign stop. Adelson hosted a fundraiser for Romney in Israel. Adelson reportedly spent part of last week in Tampa, Fla., site of the Republican National Convention. Wynn was nowhere near Tampa. Published reports had him vacationing in St. Tropez aboard his luxury yacht, Allegro. Adelson, 79, shuns mainstream media and has only given one interview about his political activities. In February, Forbes magazine profiled Las Vegas Sands’ recovery from a near economic meltdown in 2008. Adelson provided some brief answers to questions concerning politics. Wynn is far more entertaining. Lately, however, he has spoken only with his wallet. Politico reported in July that Wynn donated $10.1 million to Crossroads GPS, a political action group founded by Republican strategist Karl Rove. The organization is running television ads targeting Obama and Democratic candidates in battleground states. A few days after the Politico story broke, Wynn Resorts reported quarterly earnings. Wynn didn’t bite at an opportunity to take a few more swings at Obama. Instead he praised China. The company collects roughly 70 percent of its profits from its two Macau casinos. Last week, Politico said Wynn donated $475,000 to the nonprofit Republican State Leadership Committee, which focuses on electing Republicans to state legislatures and other down-ballot offices. Nonpolitical activities must be commanding more of Wynn’s attention. 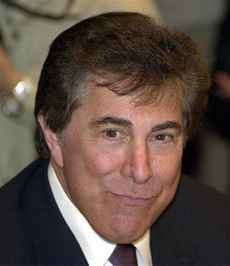 Wynn, who turned 70 in February, married girlfriend Andrea Hissom in May 2011. A year later, New York media reported that Wynn spent $70 million to purchase a 10,882-square-foot penthouse at The Ritz-Carlton on Central Park South. In June, Wynn said the company would spend $4 billion to construct a hotel-casino complex on the Cotai Strip region of Macau, well above the cost figure analysts expected for the 2,000-room resort. Completing the hotel-casino in the next three years is expected to be Wynn’s primary business focus. There is another theory on why Wynn pushed his own mute button. The U.S. Securities and Exchange Commission earlier this year opened an informal inquiry of the company over potential violations of the U.S. Foreign Corrupt Practices Act. The probe is related to a $135 million pledge by Wynn to the University of Macau Development Foundation. Defrocked Wynn shareholder Kazuo Okada questioned the validity of the donation in a lawsuit against the company. Gaming insiders speculate the SEC probe has silenced Wynn, forcing a self-imposed exit from the political limelight. Yet, Las Vegas Sands also faces SEC and U.S. Department of Justice investigations for alleged Foreign Corrupt Practices Act violations outlined in a wrongful termination lawsuit brought by the company’s ex-chief of Macau operations. Democrats have tried to use the allegations to sully Adelson, hoping to counteract his well-financed vitriol. But Adelson is standing firm and throwing counterpunches. Last month, following a threatened libel lawsuit, the Democratic Congressional Campaign Committee apologized and retracted its suggestion that Macau prostitutes were the source of Adelson’s campaign cash. So while Adelson can stay in the fight, where’s Wynn? His current silence belies his 2009 promise to remain vocal. “Every businessperson ought to speak up or things are going to get much worse,” Wynn said then.